On Rosh Hashanah, Izzy and his family make lists of the wrongs they have committed over the past year, and after they have apologized, they throw pieces of bread into the water to “clean their hearts” in a ceremony called tashlich. This Sydney M. Taylor Award Book for Young Readers winner of 2010 is the compelling story of a family preparing to celebrate the Jewish New Year. Izzy is a little boy who is supposed to admit to his mistakes, but can’t bring himself to admit the most important one of all. Both children and adults can empathize with the feeling of remorse and regret, and will recognize themselves and their family and friends as being similar to the characters in the story. The illustrations are watercolors in a palette inspired by the colors of autumn, and the drawings have touches that suggest movement reminiscent of a breezy autumn day. 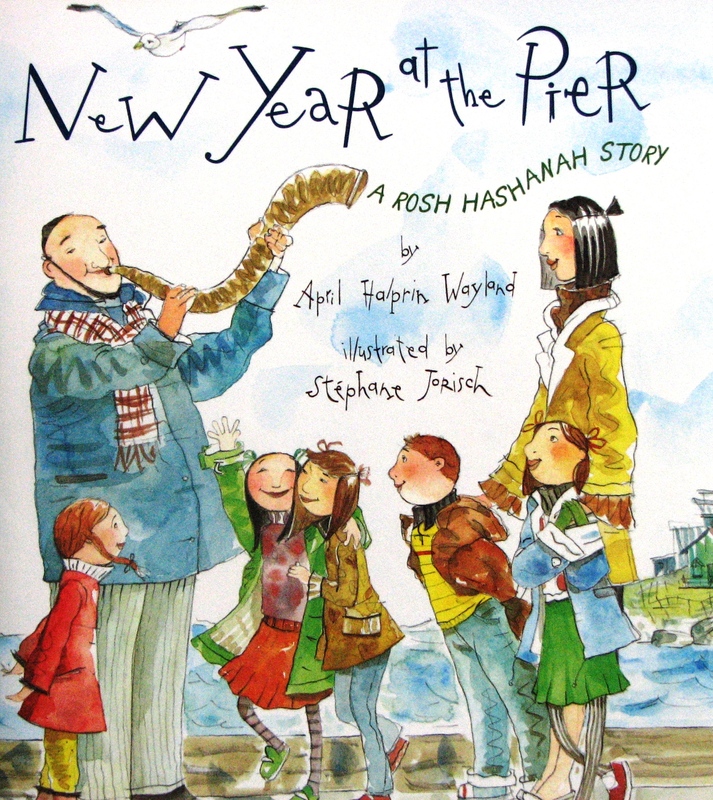 This is a great book to introduce children to the Jewish holiday Rosh Hashanah, since it explains the meaning of the Tashlich in an easy to understand way.